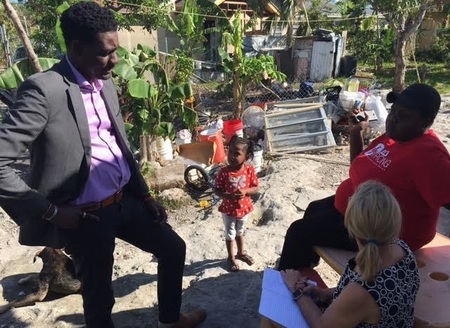 I thought about Martin Luther King, Jr. and his message of justice and equality when I joined my colleague, Kacey Mordecai, to meet with activists and human rights lawyers in Nassau, Bahamas. It was Martin Luther King Day, but this was no vacation. Images of the Bahamas evoke crystal-clear waters and white sand beaches soft as talcum. It's a place so idyllic its residents named one of its islands "Paradise." But for women, immigrants, environmentalists, and their advocates, the Bahamas is a place far from paradise. Our day began as days often do for human rights advocates. After reports emerged of a nightmare situation at the Carmichael Detention Center, where over 700 immigrants are detained, we sought to investigate. The official denial of access was swift and unbending. We would not be allowed to look. 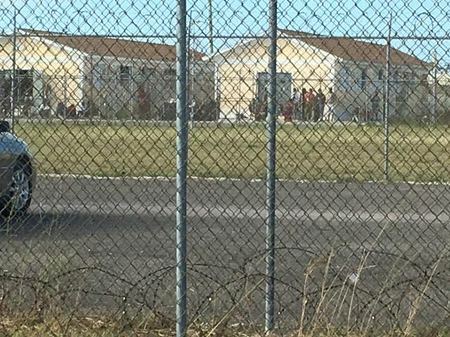 A former Carmichael detainee detailed a life of monotony inside a 25 by 15 foot room. 40 other women and children were her roommates. The food was meager, the rations were rotten, and the stench overwhelming. Guards implemented a caste system among immigrants: Cubans were given the best treatment, including beds; then Jamaicans; with Haitians treated worst of all. It's a sadly familiar story. Haitian detainees are not just denied beds, they were refused blankets and forced to sleep like books stacked on a shelf. The detainee shared a disturbing story of a woman subjected to multiple injections during childbirth, medicine designed to delay her delivery until neither she nor her baby had a claim to Bahamian citizenship. The pattern of police accepting bribes of $1,500 per person to release detainees has become so prevalent that the Haitian community has been forced to mount a campaign to stop distraught relatives from paying the bribes. Unlike nearly every country in the Western hemisphere, being born in The Bahamas does not grant citizenship. Children born in The Bahamas to immigrant parents must apply for "Belonger's Permits," a recent invention of a 2014 immigration policy championed by Minister of Foreign Affairs Fred Mitchel. The new policy requires children born in The Bahamas to immigrant parents to obtain passports from their parents' country of origin. At age 18, these children have the constitutional right to receive Bahamian citizenship, a process that often takes 3+ years. Until then,, these children are treated as foreigners by their own government and denied basic education and medical care. A subsequent conversation with Marion Bethel, a prominent lawyer and women's rights advocate, who this year has been appointed for a four-year term as a member of the United Nations Committee on the Elimination of All Forms of Discrimination against Women (CEDAW), revealed an unsettling connection between this horrendous treatment of immigrants and a lack of respect for women's rights in The Bahamas. Last year, the Bahamian public overwhelmingly voted against an amendment to the Constitution that would have allowed Bahamian women equal rights. The referendum was sabotaged by conservative religious leaders who preached that women's equality was a backdoor path to marriage equality and LGBTI rights. The Bahamian far-right also began a divisive misinformation campaign, arguing that allowing Bahamian women the same right to pass on their Bahamian citizenship as Bahamian men could lead to an invasion of foreign men who would marry them, gain Bahamian citizenship, and take over the country. As one Bahamian Archdeacon put it recently, Bahamian women "breed too much." Local advocates believe the Bahamian government thinks "they can ride the wave of paranoia back into power." Robert F. Kennedy Human Rights is at the forefront of the effort to change broken systems. In the Bahamas, our litigation team, along with the Puerto Rico-based Caribbean Institute for Human Rights, and local partners the Grand Bahama Human Rights Association exposed the inhumane conditions in which migrants are detained at Carmichael Detention Center. We petitioned for and won precautionary measures from the Inter-American Commission on Human Rights ( IACHR) to safeguard the lives of detainees in the facility. We supported Save the Bays in its successful request to the IACHR for protective measures of its human rights defenders, and we are organizing a training for civil society leaders on how to hold the Bahamian government accountable for human rights abuses before international bodies. Robert F. Kennedy Human Rights will continue to work with the people of the Bahamas until "Paradise" truly lives up to its name.